The Pinnacle hip study wasn’t a seeding study, he said, because “the sponsor implemented sound scientific research practices” and it “had a clearly defined scientific objective.” Whatever marketing the company was able to use the study for, “these marketing benefits did not impact the scientific integrity of the study,” he wrote. Lesko wrote in the April 18 letter — obtained by STAT — that if the journal, Accountability in Research, refused to retract the paper, he wants the letter considered for publication. “Because the topics discussed in the AIR Article and in this response are all part of ongoing litigation involving the Pinnacle MOM device, I have consulted with DePuy’s attorneys in preparing this response,” he noted. 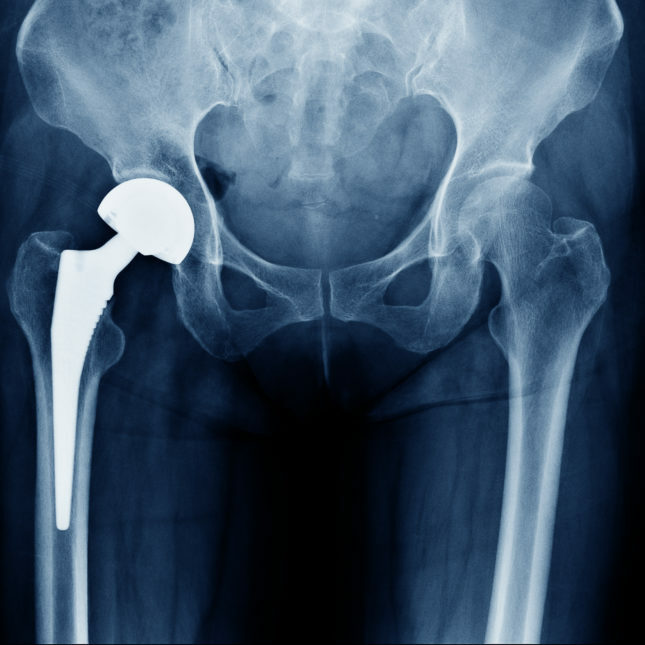 The mention of litigation gives a hint of the bigger picture here: Some 10,000 recipients of the Pinnacle hip have sued J&J, which in turn has been ordered to pay hundreds of millions of dollars to plaintiffs who claimed the device caused metal poisoning or tissue damage. (The company is appealing the judgements, and denies the product was defective.) Egilman and his co-authors have served as expert witnesses for some of those plaintiffs. For their part, Egilman and his colleagues — in a 32-page letter rebutting J&J’s claims — wrote that they “provided the final draft of our paper to J&J/DePuy for comments and correction one month before publication” but received no response. They also noted that the paper disclosed their involvement in the litigation. The authors said they would welcome publication of Lesko’s letter alongside their own. “Needless to say this is a baseless request and merely an effort to bully the medical and scientific community to acquiesce to corporate crime never mind irresponsible and unethical conduct,” Egilman wrote in an email to Taylor & Francis. Battling pharma is nothing new for Egilman. In 2007, he agreed to pay Eli Lilly $100,000 for leaking confidential documents about the company’s antipsychotic drug Zyprexa. Egilman was a consultant for the Department of Justice in a related case in which Lilly would eventually plead guilty to off-label marketing and settle for $1.4 billion. He has written critically of Merck’s failures to disclose troubling data about Vioxx, and testified in litigation against J&J over use of talc in their powders. Last year, one of his papers in another Taylor & Francis journal, which criticized a different industry-sponsored study, was withdrawn over his objections. Egilman was editor of that publication, the International Journal of Occupational and Environmental Health, until Taylor & Francis replaced him, also in 2017 — at which point dozens of members of the editorial board resigned. It’s worth noting that retractions are hardly the only way to respond to potential issues in the literature. A detailed letter pointing out alleged errors — which J&J has done here — but without a call for retraction is less likely to make authors and journals defensive. Of course, you can also go to the media to exert pressure on a journal, something that J&J did not do in this case. Public attention tends to have an effect. As of now, the Accountability in Research paper has not been retracted, and after a discussion with the journal, J&J said it was not interested in publishing Lesko’s letter. However, the company continues to seek retraction of the paper, spokeswoman Mindy Tinsley told STAT, and a spokesperson for Taylor & Francis said it is looking into the matter. Science often plays out like a game of ping pong, as researchers advance hypotheses only to have them rebutted — and then return with a rebuttal of their own. But if readers are going to subject themselves to whiplash, it’s better if the game being played is in the service of knowledge, not lawyers. For more information, there is a Documentary on Net Flix, The Bleeding Edge. It really is not surprising this Industry Site would avoid discussing that topic. The problem is much more prevalent than the profiteers that publish this this make it seem. Plenty of Physicians have helped to hide the deaths, and other injuries from devices. It is not even against the law anymore. The use of a Seeding Study to market their product is deceptive, yet it may not meet the definition of fraud. The arrogance of these companies is astounding. It is like the Mad Hatters Tea Party. The deceptive marketing practices are so normalized, ad the corruption so invasive, that they have rewritten the definition of fraud. Thousands of people were affected by this faulty device, and they gamed the system to sell it. I wonder when someone will finally say enough. These Seeding Studies were used to market useless Pharmaceuticals too. No studies were done on the costs, damaged lives, and the long term ramifications of peddling useless, dangerous and deceptive products either. These corrupt corporations have representatives sitting on government regulatory boards, are able to interfere with the collection of data, and make sure that device identifiers are not included in patient records. It is no wonder American are rallying for Universal Healthcare or Medicare for All. The current climate of lies, misdirection, and weaponized marketing is killing people. Even the Center For Medicare Services has their hands tied, collecting data on these useless and dangerous devices. Device and Pharma lobbyists own our lawmakers. People who were duped, conned, misled, here, and no action was taken to ensure it never happened again. These Lawsuits are targeted to intimidate, and shut down any criticism of the corruption here. The paper that was retracted, “The Production of Corporate Research to Manufacture Doubt About the Health Hazards of Products: An Overview of the Exponent Bakelite® Simulation Study” was resubmitted, re-peer reviewed (by 4 peer reviewers) and republished in New Solutions. If you read the title, I think you will understand why the publisher (not the editor) withdrew the paper about a year and a half after it was accepted for publication. The fate of both papers is not related to science but to power.